Have anything big planned for tonight? 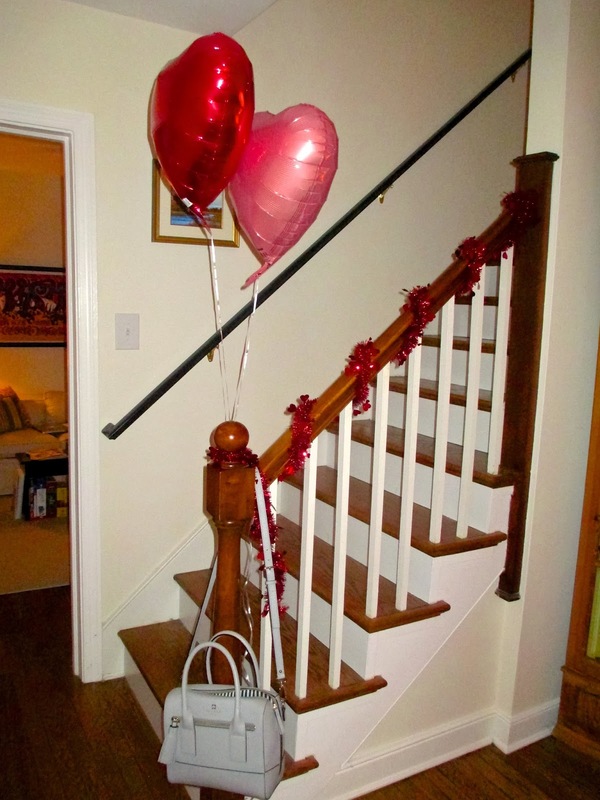 Those of you who have read the blog for a while, know that Bryce and I like to keep Valentine's Day low key. We'll cook a nice dinner, indulge in a sweet dessert, and relax by the fire. I can't wait! Tonight won't be the only Valentine's Day celebration I'll have this year, though. 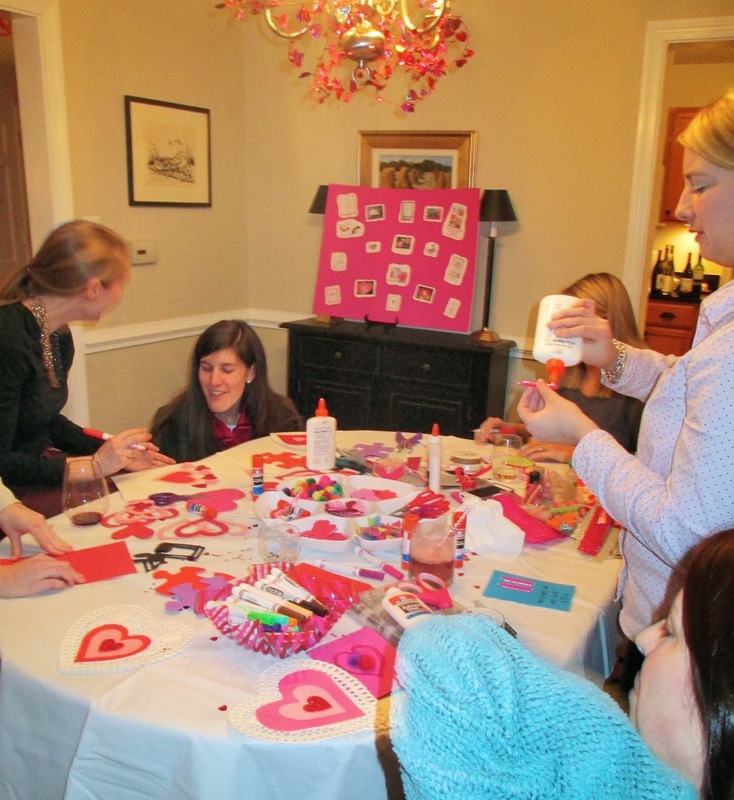 Earlier this week on Tuesday night, I hosted a Valentine's party for a bunch of my girlfriends. It was such a fun evening and I'm excited to be sharing it with y'all now! I had a lot of fun spending time on Pinterest searching for valentine ideas to display on this inspiration poster! Because no girls' night is complete without yummy food and drink, I made some munchies and also a punch! The punch was SO easy and really tasty: Pour about half of a 2 liter bottle of ginger ale and a bottle of champagne over raspberry sherbet. Add a bag of partially thawed frozen strawberries to top it off! 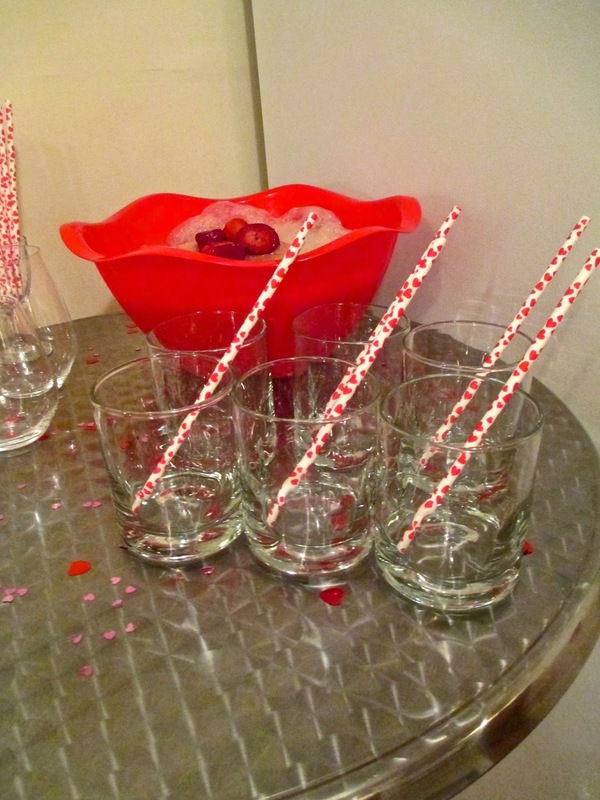 I was so excited to use my heart straws from Michael's! 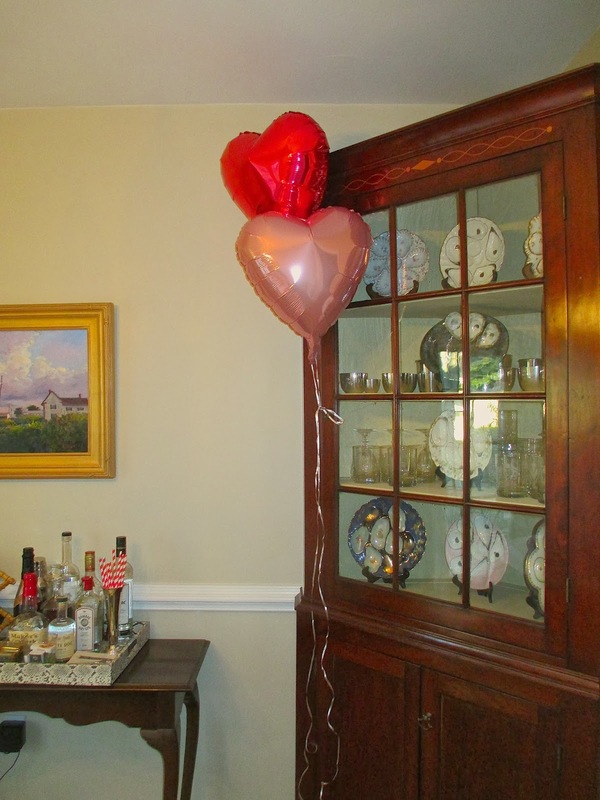 In addition to my existing Valentine's decor (post here), I also added these heart balloons that I found at the Dollar Tree! I am smitten with them! All in all, the night was a huge success, if you ask me! Do you celebrate Valentine's Day with your girlfriends? 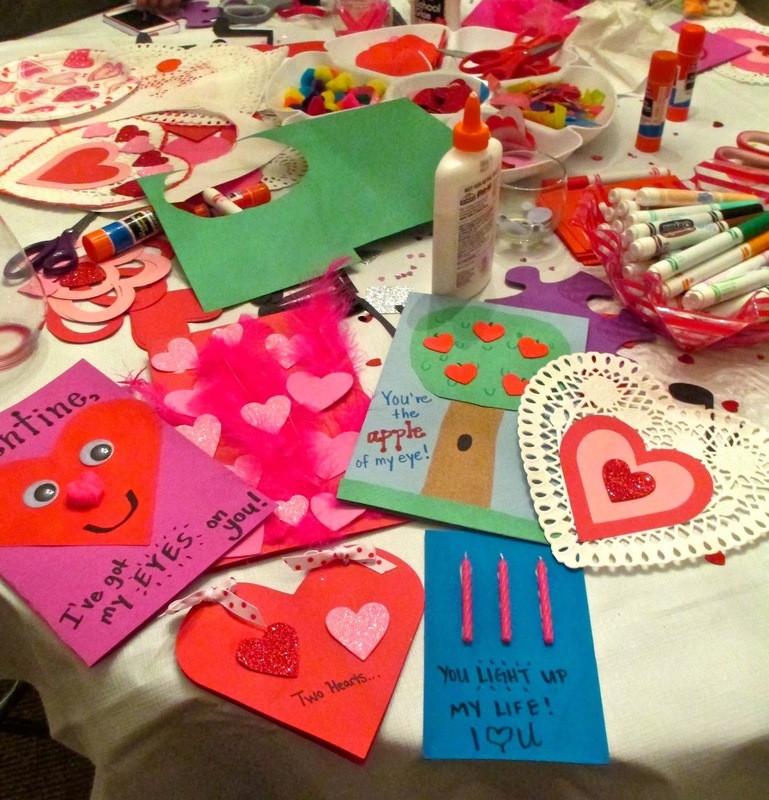 Did you make homemade valentines this year? Have a fabulous Valentine's Day and great weekend! What a fun night! I love your corner china cabinet by the way! I don't do anything for Vday, but I'm living hour oyster plates!!! What a great excuse for a girls night! I love your oyster plate collection, they're gorgeous! Happy Valentine's Day! So fun! Happy Valentines Day!! 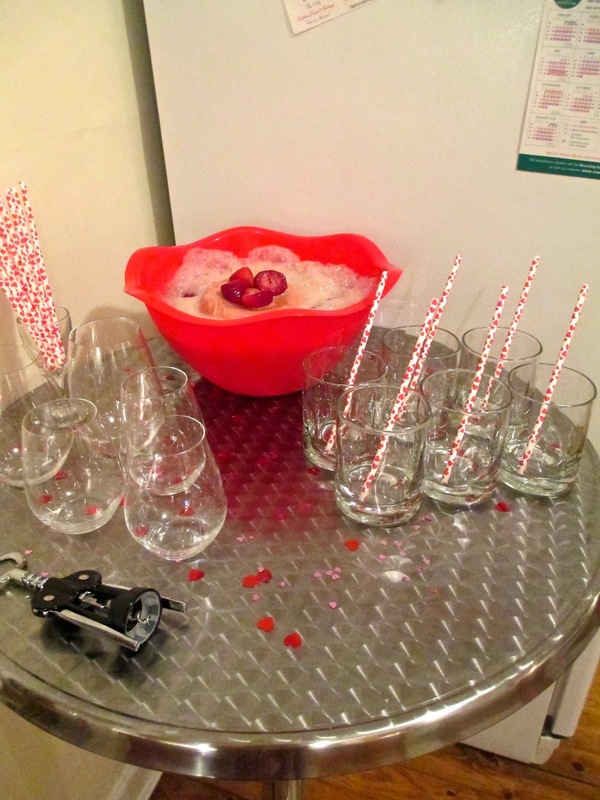 What a fun party idea! Happy Valentine's Day to you and Bryce! That looks so fun! Happy valentine's day! Happy Valentines Day!! 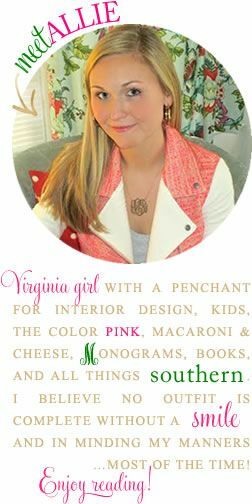 Just found your blog & it is the cutest, I am also from Virginia (VB). Looking forward to following along with you! Love this party!! 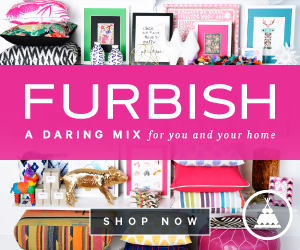 I love homemade anything and this party was simple crafting/making which takes the pressure off. Love it!!! Such a cute idea! I love hostessing and look for any excuse to have a girls night. So glad it was fun! What an adorable idea!! Love it! I'll have to do something fun next year! Low key Valentines Day is the best! What a cute idea! I have recently started falling in love with balloons after being afraid on them as a child! I made handmade Valentines for everyone that I work with today and it was a hit!! Hope you & Bryce have a wonderful v day! You are so creative! 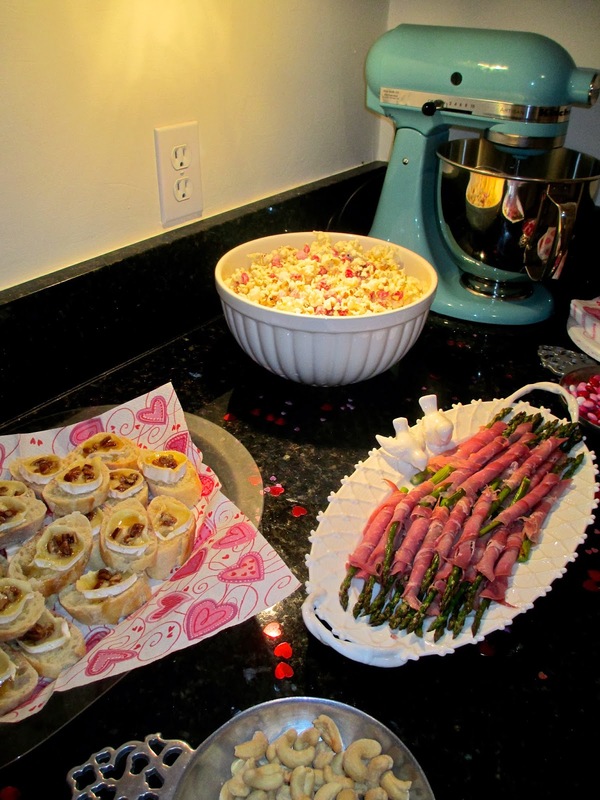 And those snacks look delicious but quick to whip up too. I wish I could have joined...didn't manage to make any valentines this year. I totally failed!! What a great idea! I'll have to keep this in mind next year as an idea for the girls to get together!